The flow switch detects whether there is any flow in the piping and opens or closes an electrical contact. It is normally used in heating, air-conditioning, refrigeration, water treatment, additive pumping and process systems in general. By means of the flow switch it is possible: to control devices such as pumps, burners, compressors,refrigerators, motorized valves; to turn on indicator and alarm devices and regulate equipments for dosing water additives. 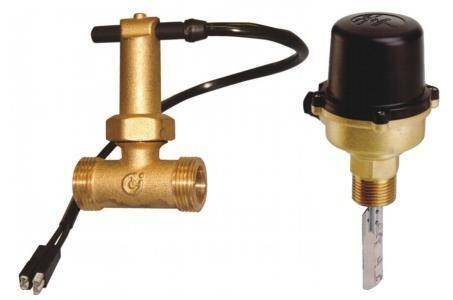 In heating systems, especially, the flow switch has the objective of switching the burner off in case of a lack of medium circulation within the water heater circuit. A lack of circulation would otherwise impair the operation of the temperature-sensitive safety and protection devices.